Get your wood floors looking new again with Sound Cleaning residential wood floor cleaning services. Let Sound Cleaning revitalize your hard wood flooring by a process of deep cleaning, sealing and buffing. This process is an effective way to deep clean the floors, removing stains, scuffs, residue, and bring out the shine. 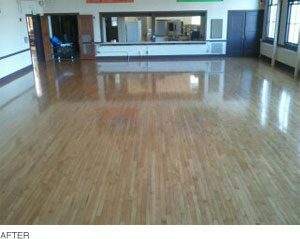 If you are looking for a commercial wood floor cleaning services company, Sound Cleaning Resources will get the job done right. What is your residential wood floor sealing and refinishing process? First, we will vacuum the floors removing any dirt, debris, grease, etc. Next, we us a floor scrubber to deep clean the floors removing stains, scuffs and residue. Then, we will apply a polyurethane sealer. Finally, we buff the floors with the floor polisher and polishing pad to harden the finish and bring out the shine. 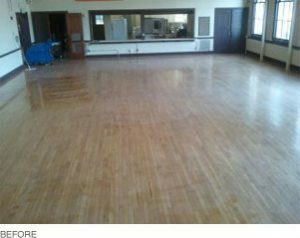 This process will not effect deeper scratches, gaps in the boards or damage to the wood, (the floors would need to be sanded down and re-finished in that case). How long does it take for residential wood floor cleaning to dry? A newly sealed area can be walked on with heavy traffic in 6 hours. 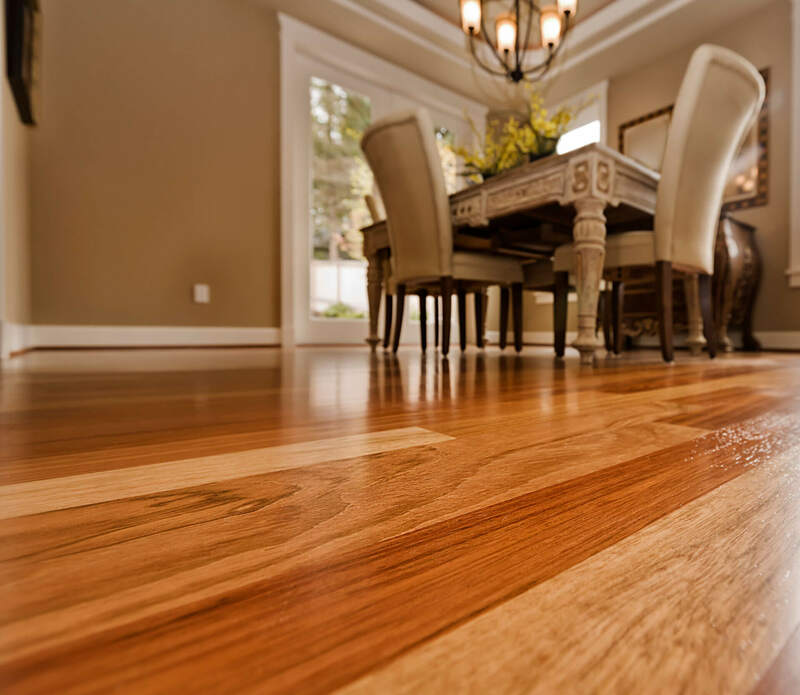 Are you insured for residential wood floor cleaning services? Do you have references specifically from other residential wood floor cleaning customers? How much does it cost for residential wood floor cleaning services? It is the greater of $.90 – $1.25 per square foot or $595.00 minimum depending on the type of surface, process and size of the area. Call us at (425) 451-3337, click here for an online estimate form or email us at info@soundclean.com for a free customized estimate.